Questions? Contact us today and be sure to check out our current service deals before scheduling service! Only on our Preferred Customer Program! 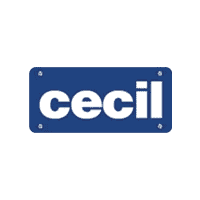 You are invited to come join Cecil’s Preferred Customer program! Just come in for an oil change and ask to join. We will give you a Preferred Customer Ket Tag to keep with you, which we will punch out with every visit. Your 5th oil change is on the house! Plus just showing your ket tag at the time of any accessory purchase saves you 10%! As well as $50.00 off any Body Shop service. Even applies to Diesel trucks. Synthetic oil not available on free service.